Original Dracula (1931) movie poster. Photo Credit: Universal Pictures/dracula.cc. Welcome to the latest instalment of “Virgin’s View” where I review a classic vampire film without being exposed to any background information or reviews, hence the “virgin” part of the title. With Nosferatu (1922) and Vampyr (1932) under my belt, Anthony decided it was time for me to check out a Dracula film. At first I was going to review the 1958 version, but he figured a better introduction to this classic would the 1931 film. Full disclosure: my previous exposure to Dracula movies is limited to Bram Stoker’s Dracula (1992) starring Gary Oldman which I remember seeing in the theatre. Also I am slowly reading my way through Dracula (1897), the Broadview Press edition published in 1998. From what I can tell, the two vary considerably. This week’s feature is Dracula (1931); a Tod Browning Production staring Bela Lugosi, Helen Chandler, Dwight Frye and Edward Van Sloan. Before you proceed, beware major spoiler alerts ahead! Obtaining a copy of this film proved to be a bit challenging thanks to iTunes. I figured the easiest route would be rent it, but after about an hour and a half to download the film and restarting my iPad numerous times, I wasn’t very optimistic. : The major difference I noticed was the musical score in the film. The iTunes version basically had no background music so when I switched versions midway through the film, the ambiance was majorly thrown off. The lack of music gave a real life feel to the film; I found the second version branding music created a more dramatic atmosphere like we are used to with current films. I guess the reason I prefer no music in some circumstances is because it mimics our lives. After all, you don’t walk around with music playing in the background unless you have earbuds in. I loved the giant bat behind the credits when the film started. Strangely, I didn’t find it cheesy at all, but felt it gave a fresh view to the introduction as opposed to the other two classics I have previously watched. It did remind me a little of Batman though. 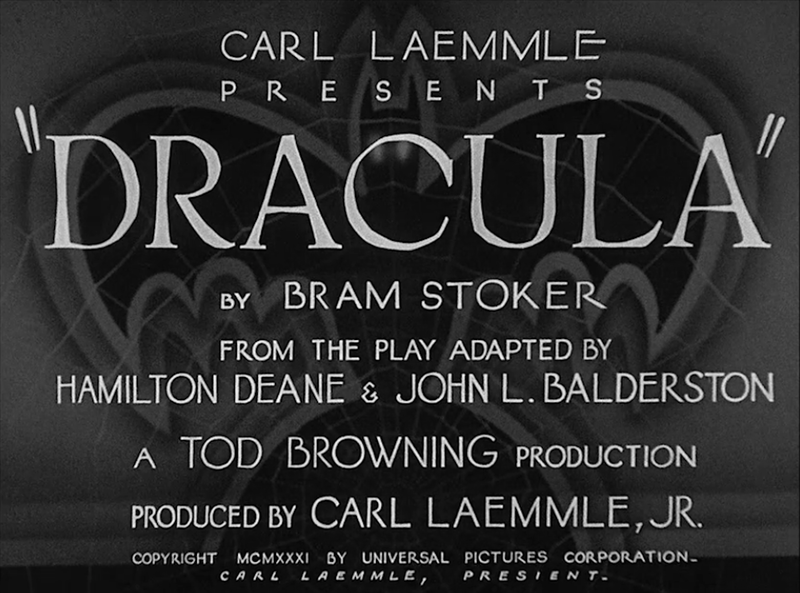 “It did remind me a little of Batman though.” Dracula‘s title card. Photo: Universal Pictures. 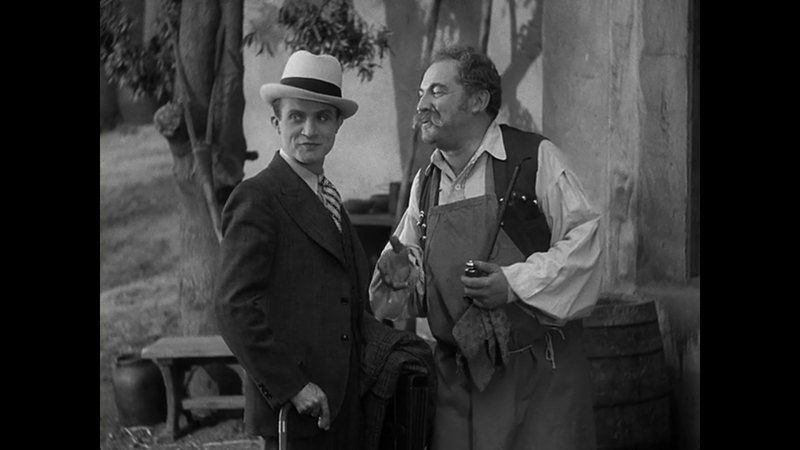 When Renfield (Dwight Frye) arrives at the local inn to get his connecting ride, everyone seems to talk nonchalantly about Count Dracula (Bela Lugosi). The whole wolves and bat drama doesn’t affect our confident and dapper dressed Mr. Renfield, who is determined to meet his new client. Renfield (Dwight Frye) chats with the innkeeper (Michael Visaroff). Photo: Universal Pictures. The locals freak out when he leaves and there isn’t a dry eye in the house. An old woman (Barbara Bozoky) insists Renfield takes her cross and he doesn’t refuse it. The vampire bat makes numerous appearances during the film. The first one is when Renfield is in the coach. After getting bounced around he peeks out the window to see a giant bat flitting about above the horses and no driver. When he enters the castle you see three bats flitting about outside the window and later on a giant bat pays Mina (Helen Chandler) a few visits as well. Considering we are talking the 1930s I was pretty impressed I didn’t see any strings supporting these little critters of the night. We finally get introduced to Dracula in what looks like the basement of his castle. The cinematography used is interesting because the shot pans to a coffin with only his hand emerging and then to another coffin where you see the manicured hand of a female inch out slowly. You even see a bumblebee crawl out of what looks like a mini coffin. But you never see Dracula physically climb out of the coffin, only one of his wives. Perhaps this is what the bee represents? 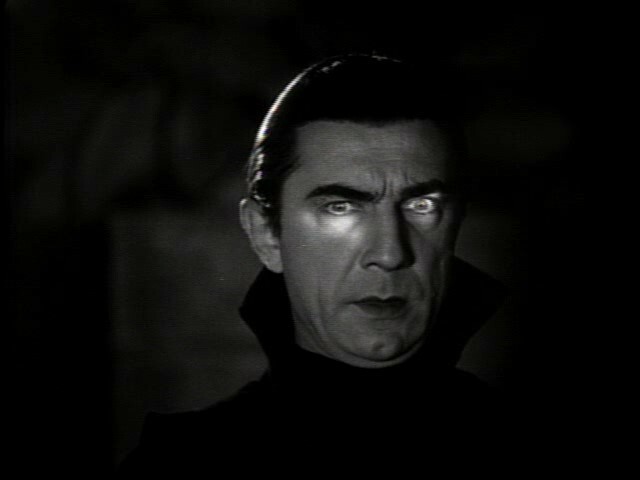 I was pleasantly surprised when I saw Bela Lugosi for a few reasons. Our Vamped Facebook page, Twitter and Tumblr profile all sport an image of him. I had no idea who it was when I chose the images a long time ago, but I was happy to know where they originated now. Vamped’s Facebook page banner picture. Photo: Universal Pictures/Facebook. Reflecting on vampires from my generation in films like The Lost Boys (1987), Interview with the Vampire (1994), From Dusk Till Dawn (1996), Blade (1998), Underworld (2003) and too many others to mention; it was was refreshing to see a classic vampire. He must have made the ladies swoon back in the day. Hello ladies! Count Dracula (Bela Lugosi) welcomes Renfield to his castle. Photo: Universal Pictures. The dark hair, pale flawless skin, a foreign accent and eyes that could stare into your soul. Dracula’s eyes were his selling point to me. Intense, piercing, and glowing with life, despite being a walking blood drinking corpse. Without much movement or little facial expressions, Lugosi instilled fear into anyone that crossed his path. He also exhibited that mysterious, strong silent type, which clearly Lucy laps up when they first meet at the opera. 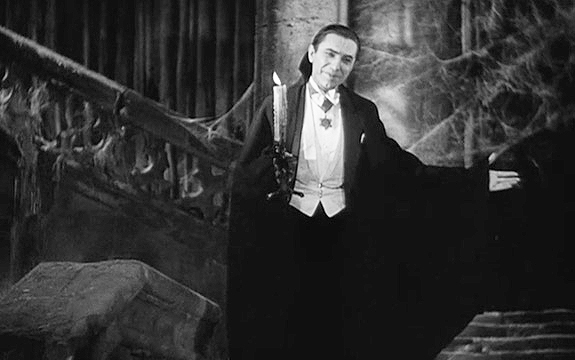 Lugosi’s character is what made the movie for me and I am interested in seeing some of his other roles. The closest actor I can compare him to is Carey Grant, one of my favourites. No matter the role, Grant was able to come across as his usual charismatic self while engrossing me in his character. My favourite film featuring Grant is His Girl Friday (1940). In regards to make-up and special effects, this vampire was definitely a step up from the one in Nosferatu (1922). The tuxedo and manicure were the winning combination and I am sure in some scenes Lugosi was sporting some lipstick. The way they played with the lighting on his eyes was a minor trick, but effective. A simple, but effective trick: Dracula works his eye mojo. Photo: Universal Pictures. I enjoyed how they portrayed Mina and Lucy (Frances Dade) once they were turned into vampires. As you can see they both were quite plain and innocent looking beforehand. 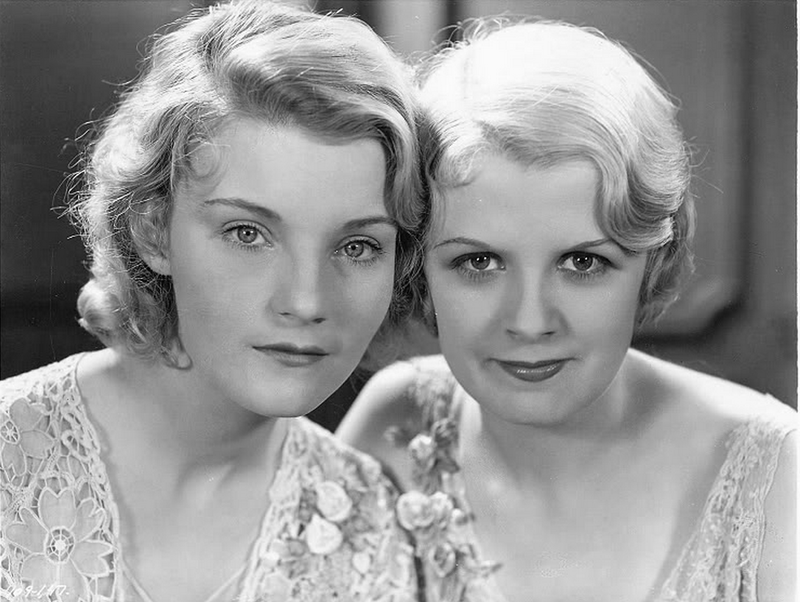 Mina (Helen Chandler) and Lucy (Frances Dade) from a Dracula publicity still. Photo: Universal Pictures/pixgood.com. To represent being “turned” the women were dolled up in makeup and adorned with swanky dresses. This same tactic was also used with Dracula’s brides; lots of makeup equals vamped out. One of Dracula’s brides (Geraldine Dvorak) rises from her coffin. Photo: Universal Pictures. This instantly made me think back to the movie Grease (1978) where Sandy (Olivia Newton John) did a 360 turn from her goody cheerleader to a smoking badass decked out in leather pants. 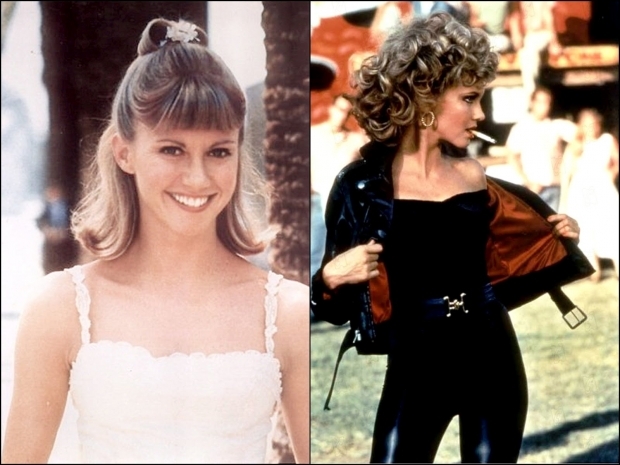 Sandy (Olivia Newton John) vamps out in Grease (1978). Photo: Paramount Pictures/img.buddy.com. I enjoyed the automatic doors that were ahead of their time in the castle. Every time they opened and shut behind Dracula as he left the scene added to the creepy ambiance. One complaint was they never showed any blood, biting or even fangs. I was half expecting at the end of the film to see some blood when Van Helsing (Edward Van Sloan) drove a stake through Dracula’s heart. Perhaps they kept it this way due to budget cuts, to build anticipation or simply gore wasn’t acceptable. I’m not sure, but this concept forced you to imagine the most intimate moments of the film. This was a change of pace from an audience’s perspective since we are so desensitized to blood an gore in films and normally you just watch in a zombie-like state as the blood flows. This film included a lot of the common tropes such as crosses, wolfsbane, and sleeping on earth from the vampire’s home country. The best one was when Van Helsing tried to show Dracula his own reflection in the cigar case and he smashed it. If looks could kill, Lugosi had that one down pat adding: “You know too much to live Van Helsing!” They also tied in the whole kill the head vampire and his victims resort back to their human ways. Compared to my other reviews, I enjoyed this film the most. Easier to take in I guess and the storyline kept me interested, despite knowing the basic premise already. It also related more to black and white films from that era that I prefer watching. When you look at the film it wasn’t scary for us. Back in the day it was probably a novelty. I give this film five stars. 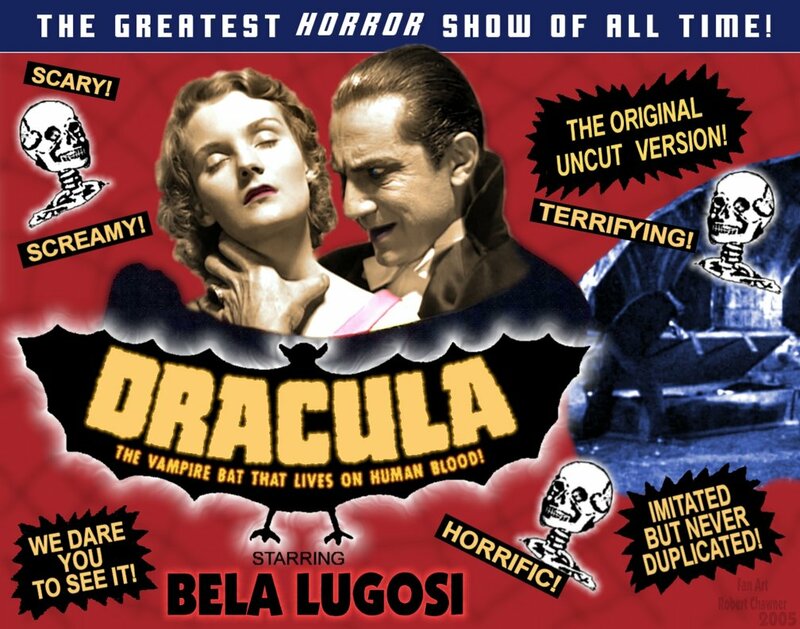 I am super excited to see the 1958 version and how Dracula from the 1930s compares to the 1950s upgrade. I think the Philip Glass score over complicates the film (my DVD comes with the option of watching either the original or the Glass score) and so never use that score. Perhaps, before watching the ’58 version, you might like to view the Spanish language version filmed at the same time as this with a different cast? Most people deem it superior and I would too, except that I feel it misses Lugosi and Frye. Got it chief! 🙂 Ooooh a follow up post! A few comments: I don’t remember exactly but I would have sworn it was actually a hairy spider coming out of the coffin, not a bumblebee. Is nonchalant really the word you mean? They seemed horrified by the fact that he was going to meet Dracula. A dry eye? They’re horrified not sad. I’m not entirely sure but as I remember it they are wearing death shrouds not “swanky dresses”. They are really cool and ghostly looking. Showing blood and gore like they do today was definitely not done. Although they do show Renfield bleeding when he cut himself (much to the interest of Dracula). Also I’m not sure the trope of the vampire bearing his teeth with long and sharp canines was actually established yet. Nosferatu had a completely different interpretation as well.